If a car hit and injured your child, you probably have many questions about your child’s right to sue for compensation and how much money she can recover for her losses. You might wonder if your child has the right to sue the person who harmed her. Washington State law usually requires that someone who is of legal age files the lawsuit on behalf of a minor child. Further, the statute of limitations for a child personal injury case is different than for an adult case. Once we win a judgment or settlement, the court will have to approve the terms of the settlement. We might have to deposit the funds into a trust for your child. Individual courts and judges sometimes differ in how they handle these issues, but the team at Max Meyers Law will explain to you the unique procedural requirements of these cases. Medical expenses. The law allows you to recover compensation for all the medical care your child needed because of the accident. These medical services can include the ambulance, emergency room, hospital, diagnostic testing, surgery, doctors, prescription drugs, equipment and supplies, and physical therapy. Lost wages. Most children do not lose income because of an injury, but if your child was of working age and missed wages that she regularly earned, this loss can be part of the compensation package. Further, you may qualify to recover compensation for your lost wages if you had to miss work to care for your child. Pain and suffering. Pain and suffering damages are an attempt to value what your child endured because of the driver’s negligence. Disability. Children can suffer catastrophic injuries when motor vehicles strike them while they are walking. If the crash caused lasting physical, mental, or emotional impairment of your child, the liable party should pay for those losses. The law does not hold a child to the same level of responsibility as the adult driver of a car. A driver must keep a careful lookout when driving, particularly through areas where children are likely present, such as in residential neighborhoods and near parks and schools. 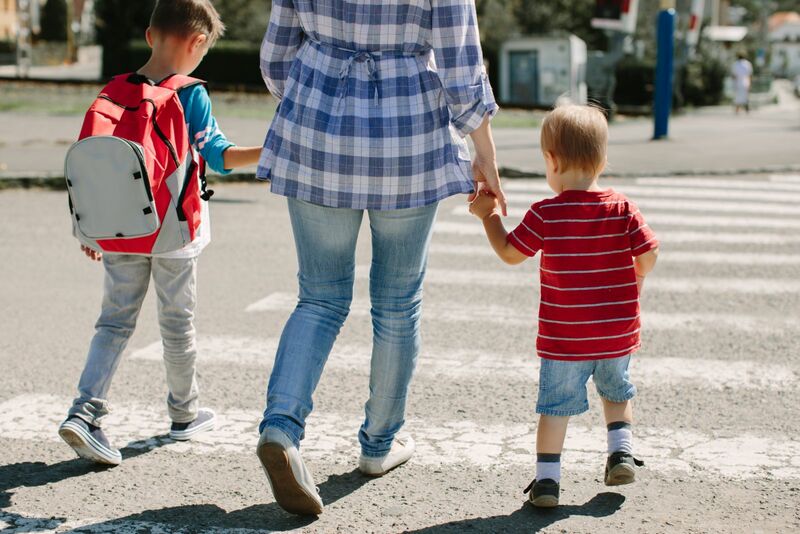 Further, even if your child is partially to blame for the pedestrian accident, Washington’s comparative negligence laws may still allow your child to recover compensation. When is a Driver Liable for Striking a Child Pedestrian? The issue of who is liable will turn on the facts of your case, but the courts will apply the same four tests in all negligence cases to determine who is responsible for the damages. Test #1: Did the person have a legal duty of care? A driver has a legal duty to drive cautiously and maintain a careful lookout. Test #2: Did the person violate the applicable duty? A driver who speeds through a school zone, for example, violates the duty to drive cautiously. Test #3: Did the negligence cause the accident? If the driver could not stop in time because she was speeding, her negligence caused the collision. Test #4: Did the person suffer damages from the accident? Children who are hit by a car may experience considerable damages, including medical bills, pain and suffering, and diminished future earning capacity if their injuries cause permanent disability. At Max Meyers Law, we help people who suffer harm from accidents. If a car hit your child while he or she was on foot, we will evaluate the case and determine who is liable for the harm your child suffered. Call us today at 425-399-7000 for your free consultation.